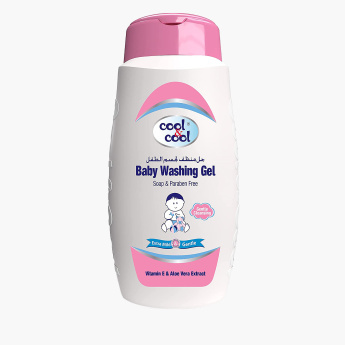 Cool & Cool Baby Washing Gel - 250 ml | Multicolour | Gently cleans baby's whole body. Your chirpy little one will enjoy bath time with the help of this gentle washing gel. Made using a tear-free formula, the gel is convenient to use on the whole body and clean the baby with. Feature 2 : Made of natural ingredients. Feature 1 : Gently cleans baby's whole body. Feature 3 : Tear free formula.